Top Rated Pre Calculus Tutors in San Francisco, CA! Welcome to San Francisco’s top-rated private pre calculus in-home tutoring service! 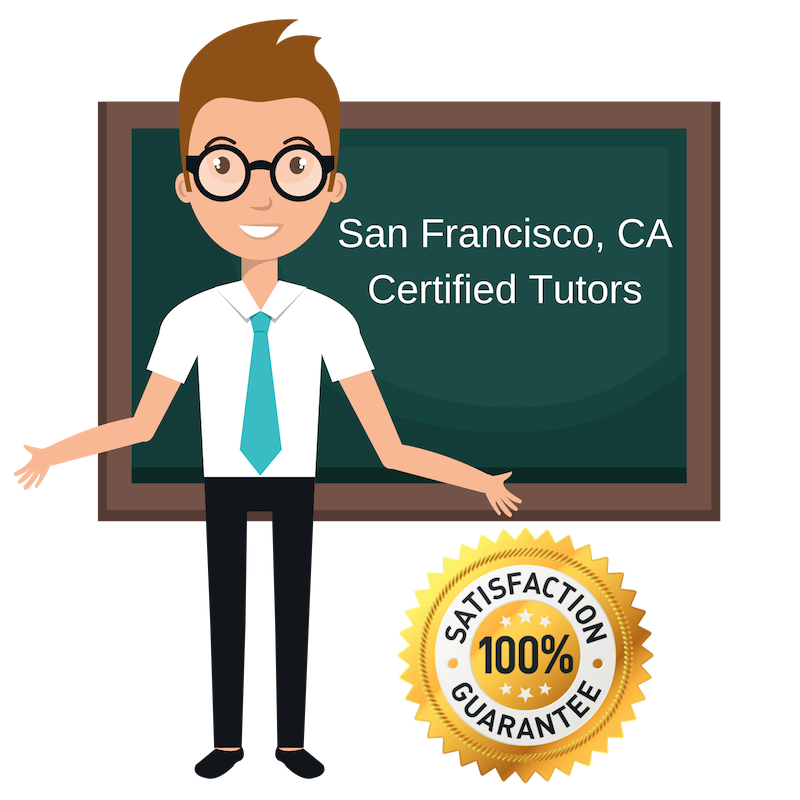 All of the following San Francisco pre calculus tutors are certified by Varsity Tutors, the leading tutoring agency in the country! All San Francisco pre calculus tutors have been background checked, been interviewed, had mock pre calculus tutoring sessions, and been trained by professionals. We guarantee you will love your local San Francisco pre calculus tutor or your money back! Get information regarding a top-rated pre calculus tutor today! I am an experienced personal tutor for students living or studying in San Francisco, CA. Prior to this, I have six years of relevant experience as a tutor for high-school and middle-school students and as a mentor for first-year college students. I have recently transitioned into the life sciences as a student myself, so I have a fresh understanding of what it feels like to approach new concepts. I use my own experiences as a student to connect with the individuals I tutor and try to share with them study strategies that I have found successful myself. However, when a student has a very different style of learning, I work hard to find techniques that suit them best. Right now, I am happy to help students with pre-calculus or other math subjects. I am available for assistance as a tutor in pre-calculus and other subjects in mathematics and science. I am currently working in San Francisco, CA and have additional tutoring work experience with the Math Lab at City College of San Francisco, CA. I studied engineering for my own education and have completed extensive coursework in mathematics, geology, and physical science, so I am very comfortable working with students on these subjects. I am extremely patient and try to always be very encouraging of students’ abilities while helping them through a spot of struggle or confusion. I find the act of helping young students push forward in their studies very rewarding and hope to carry on doing so here in San Francisco, CA. Although I am currently a student myself at Johns Hopkins University in Baltimore, for the present time I am available as a private tutor in San Francisco, CA. I specialize in teaching and advising several subjects, including pre-calculus, writing, history, and standardized test preparation. I am a tutor with a very dynamic teaching style and make sure to change my methods and materials as necessary to best suit the individual that I am working with each day. I recognize that people often have very different styles of learning and have seen that simply responding to what works for one individual makes an immense difference in their academic performance and confidence. Music, Video Games, Writing, Story Telling in General, Movies, TV, Books, etc. I am an experienced personal tutor currently working in San Francisco, CA. I am available for tutoring in pre-calculus and other subjects in mathematics. I hold a master’s degree in electrical engineering and therefore am very comfortable working through complicated topics in math and physics. During my college years, I gained experience as a peer tutor for fellow college students and by working as a tutor for high school students. I really enjoy tutoring and find the work very rewarding, so my time spent tutoring is beneficial for both the students and myself. As a tutor, I try to maintain clear communication, inspire confidence, and have a good time. I am an environmental engineer and recent graduate from Utah State University currently available as a private tutor in San Francisco, CA. I have a wealth of study techniques and practical knowledge to share as a fresh master’s graduate having completed countless courses in math and the natural sciences. I particularly enjoy chemistry and am available to tutor in math subjects, such as pre-calculus, as well. In addition to tutoring, I am passionate about ocean exploration and conservation, as well as general environmental protection policy and innovation. I love working with new students because it is always a delight to get them excited about science, math, and engineering!